(Multi-function Servingware) Flower Divided Server 16" Round Sever. 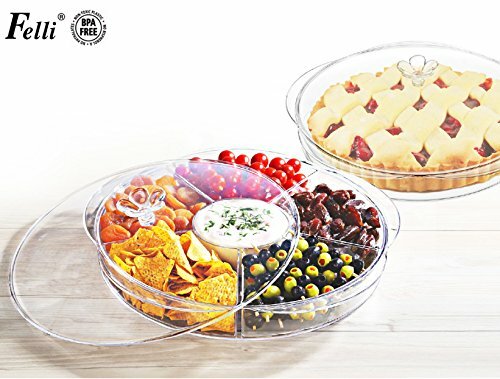 Chip, fruit, finger food serving tray with 6 compartments and lid. Hot sale item, Q'ty limited. will be out of stock soon. If you have any questions about this product by Felli / Tabletop, contact us by completing and submitting the form below. If you are looking for a specif part number, please include it with your message.